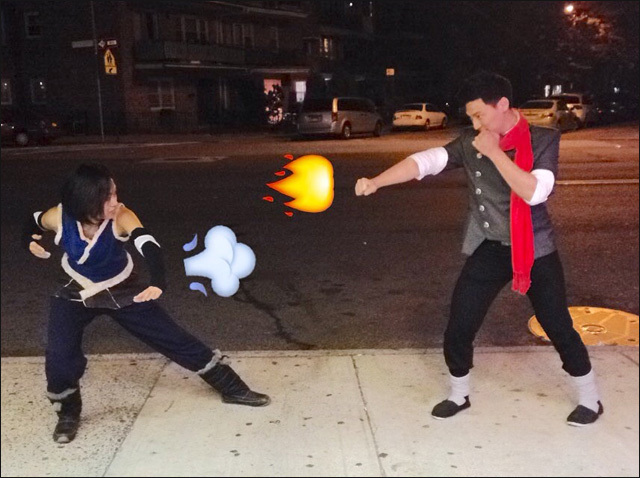 Juliet and KJ battle each other as Korra and Mako. 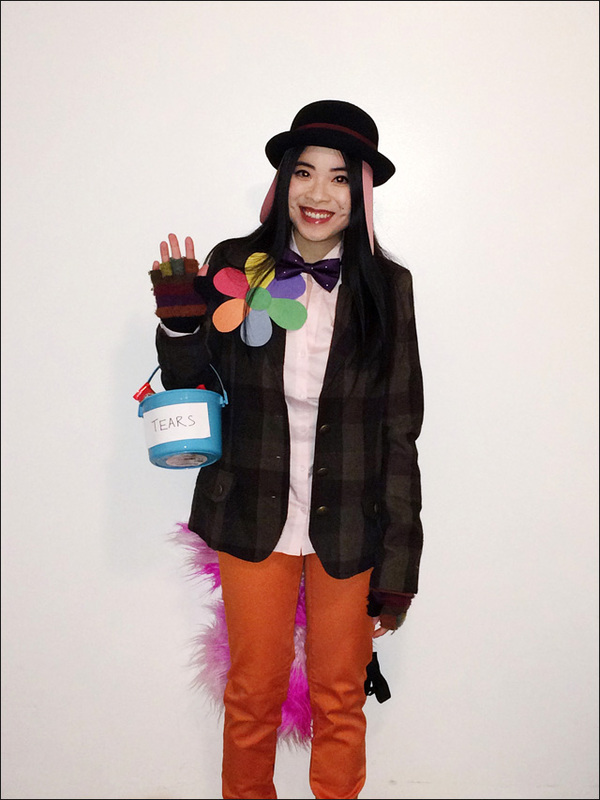 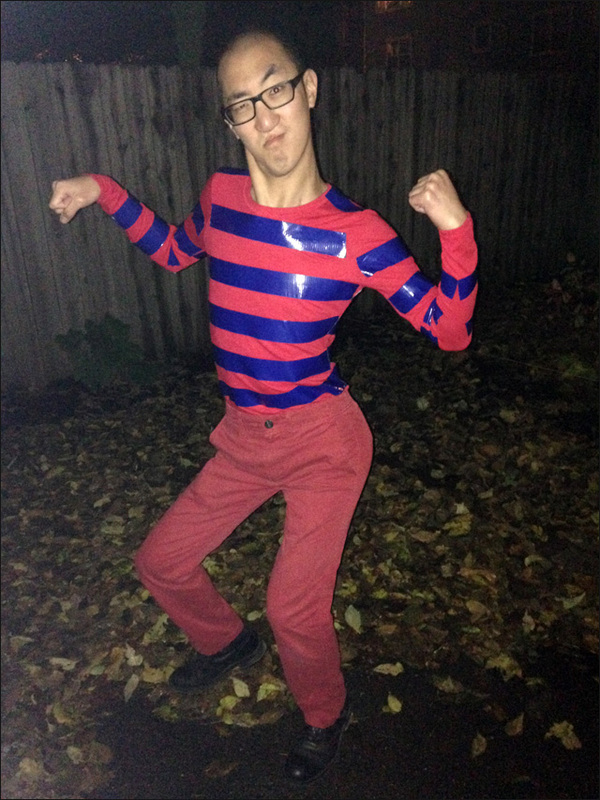 Jenny as Bing Bong from Inside Out. 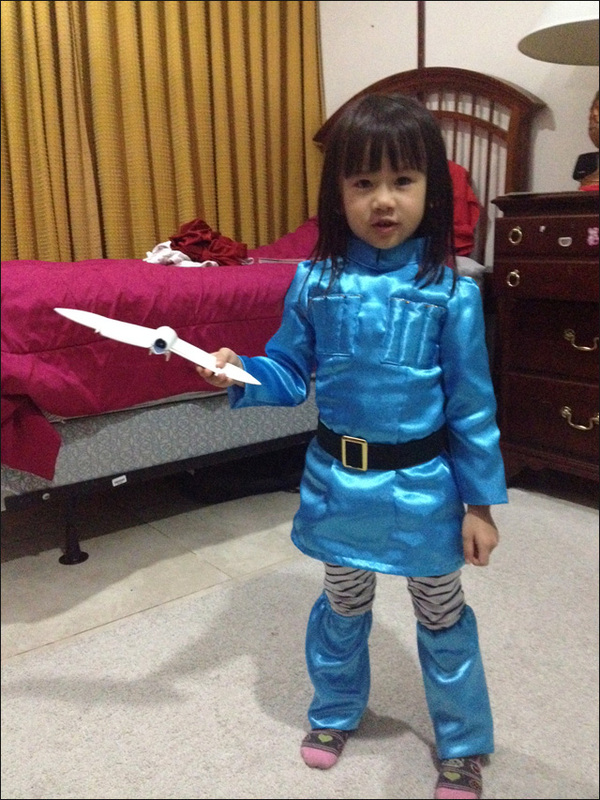 Nausicaa will protect the Valley of the Wind! 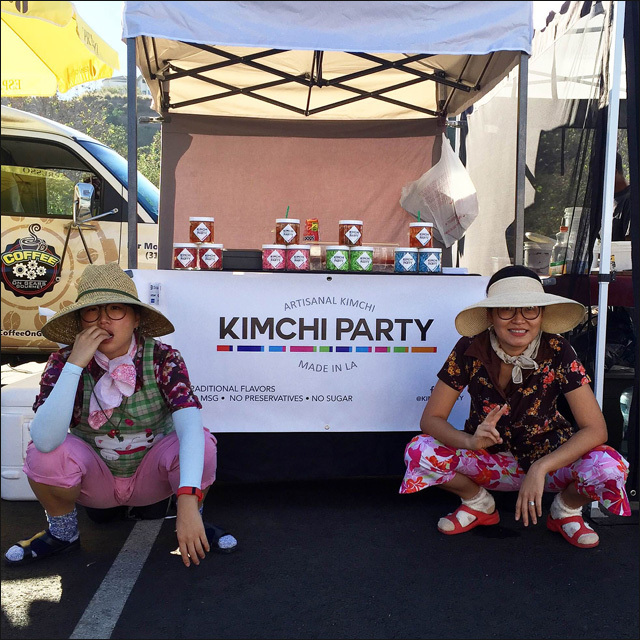 A couple of ajummas throwing a little kimchi party. 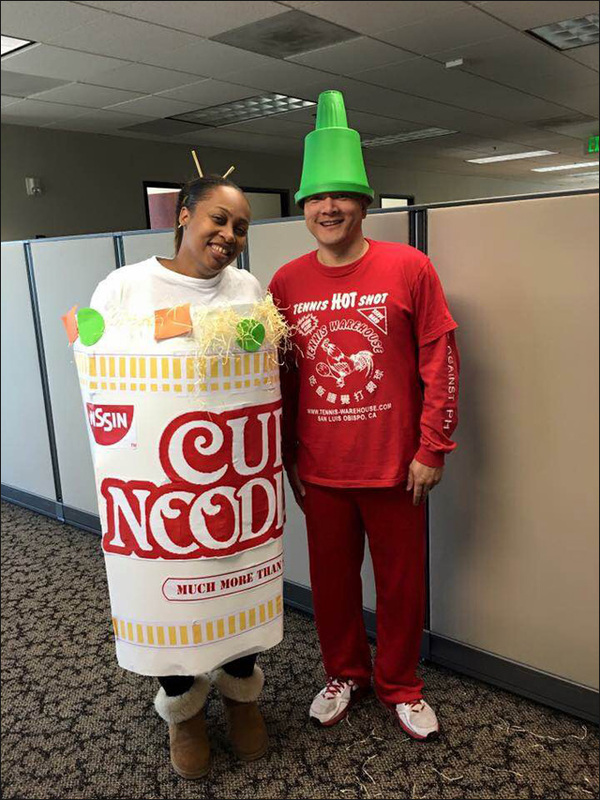 Samantha and Pete as noodles and sauce. 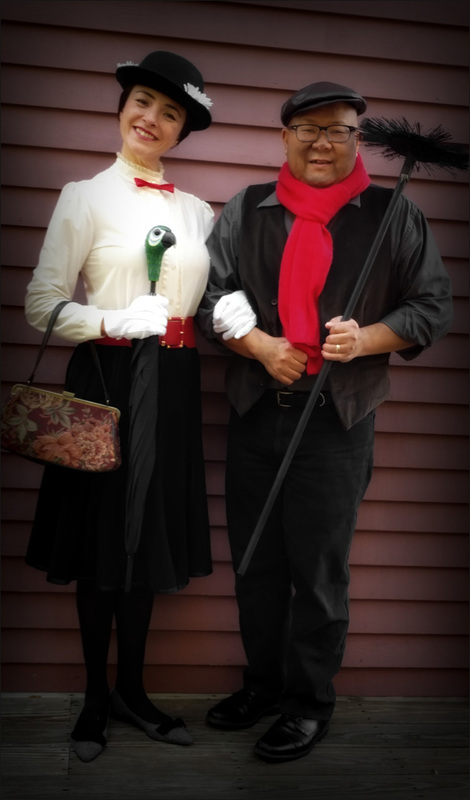 Florence and Chris as Mary and Bert from Marry Poppins. 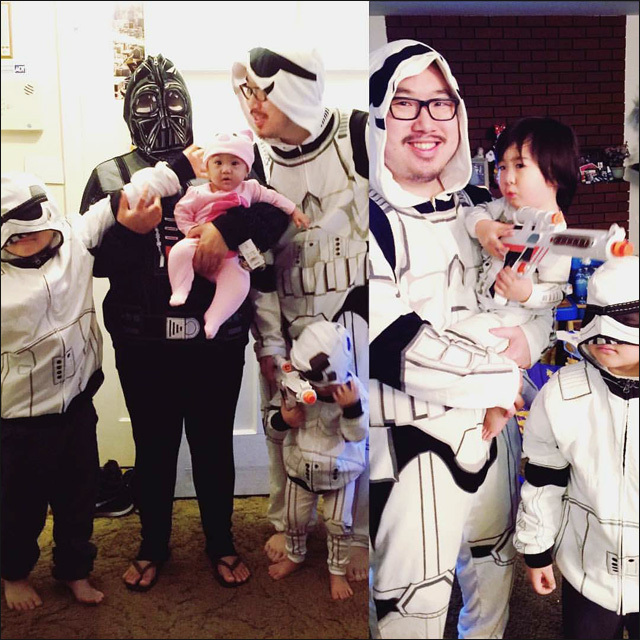 Jeffrey and his Star Wars family. 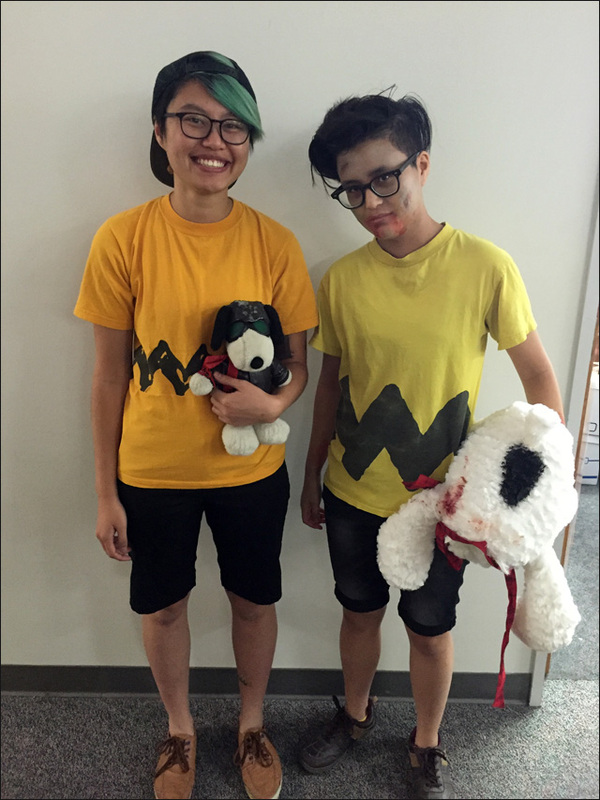 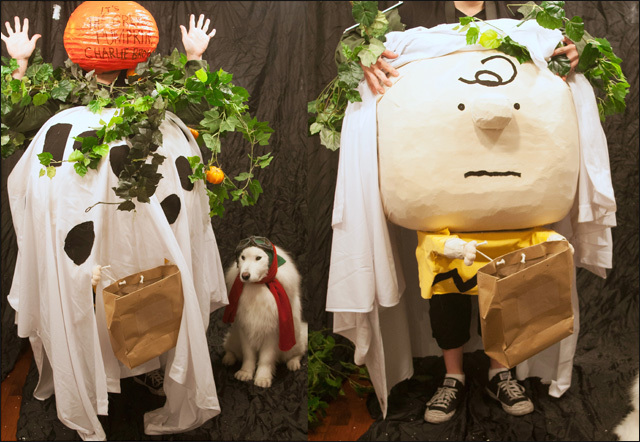 Shelly as Charlie Brown and Jeffer as post-zombie apocalypse Charlie Brown. 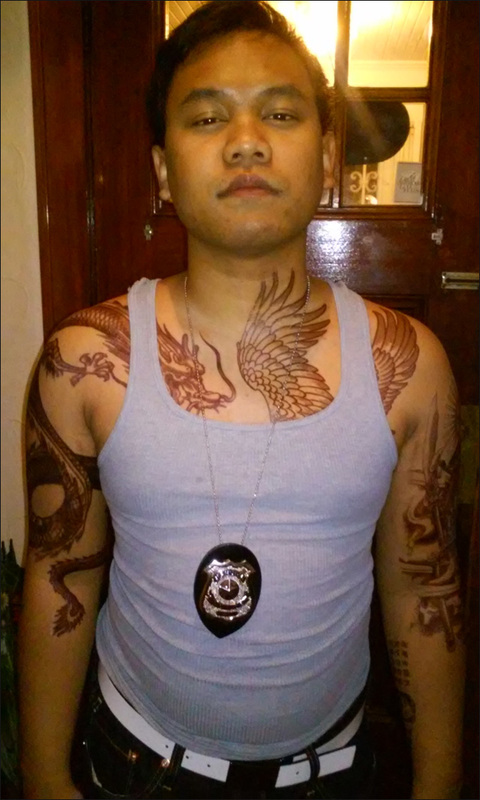 Chad as Wei Shen from Sleeping Dogs. 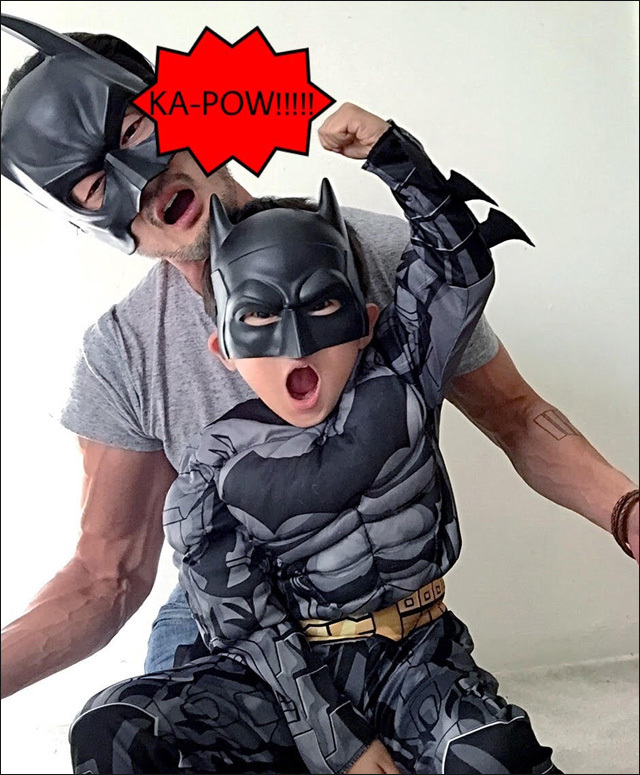 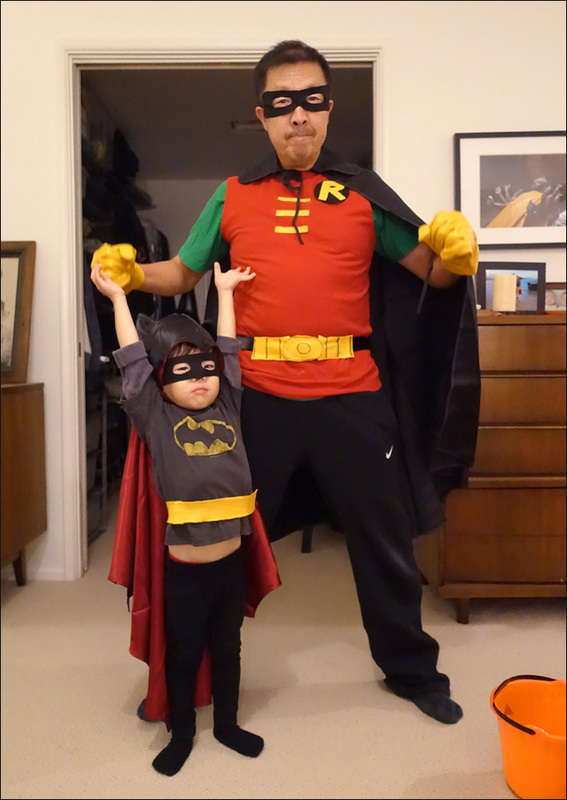 Jon and Jon Junior as a pair of Batmen. 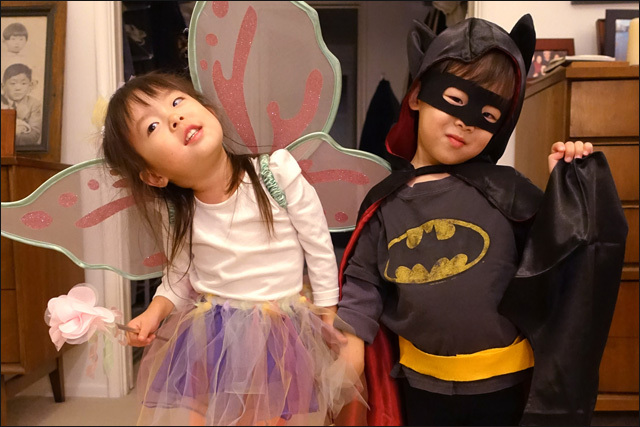 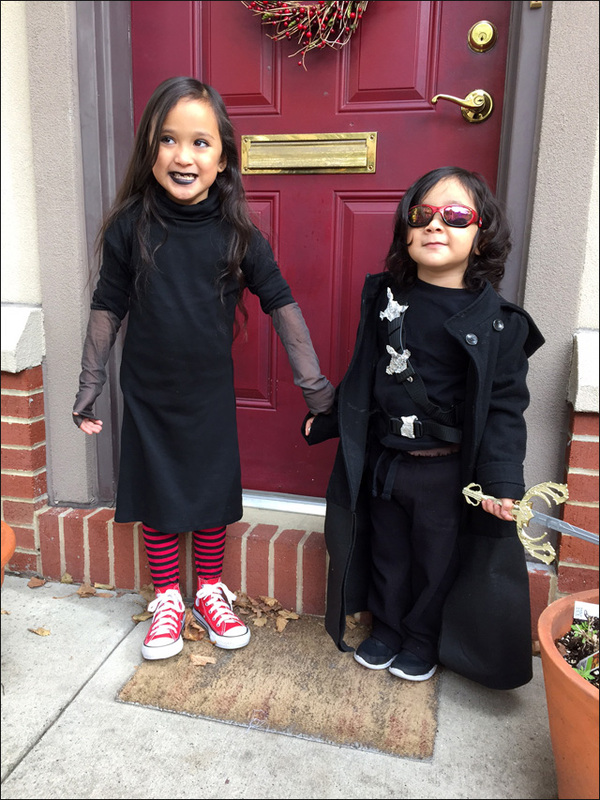 Violet as Mavis and Oliver as Blade. 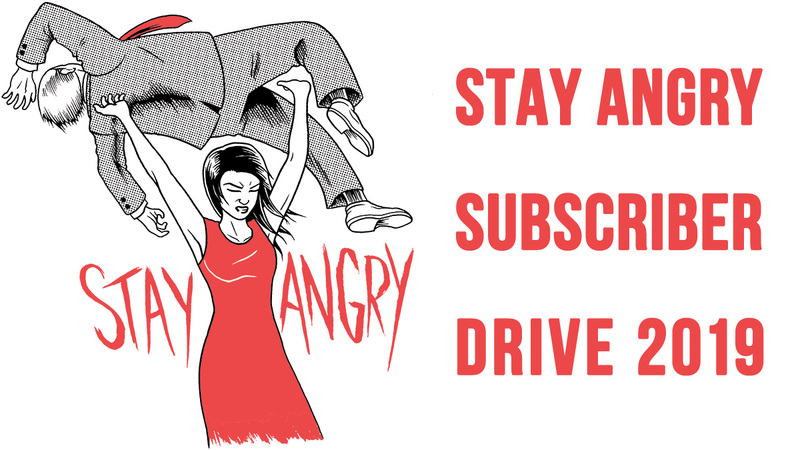 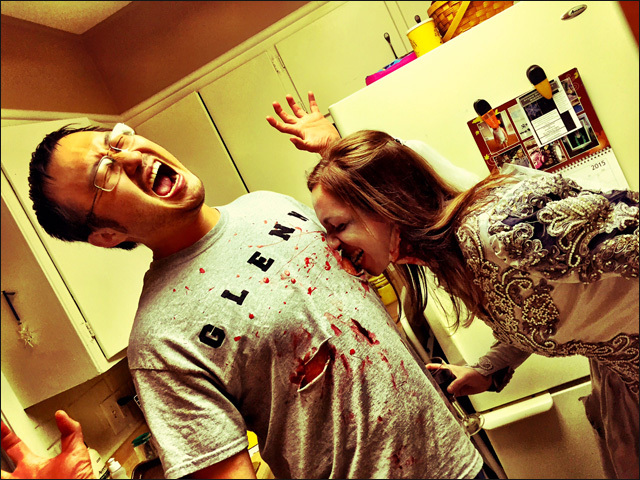 Wyatt as Glenn, who survived, and Lisa as a zombie bride. 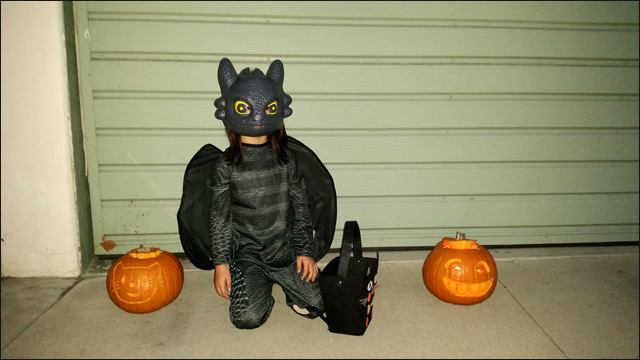 Araceli as Toothless from How to Train Your Dragon 2. 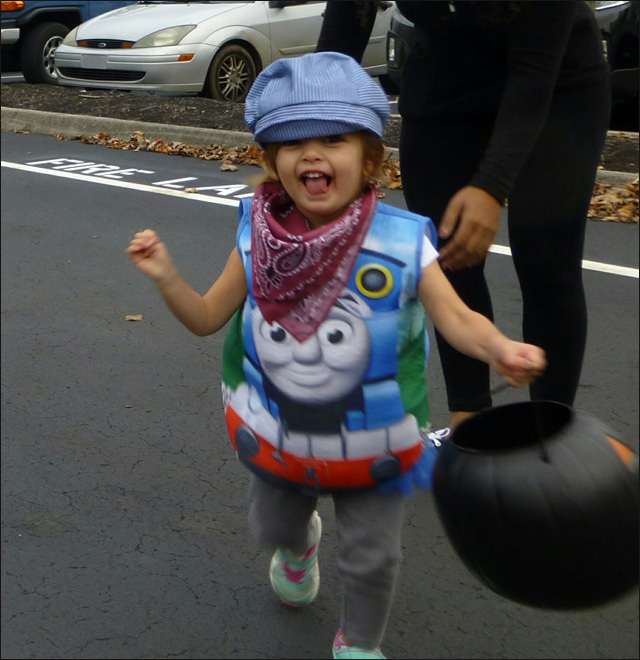 Sonja as Thomas the Train. 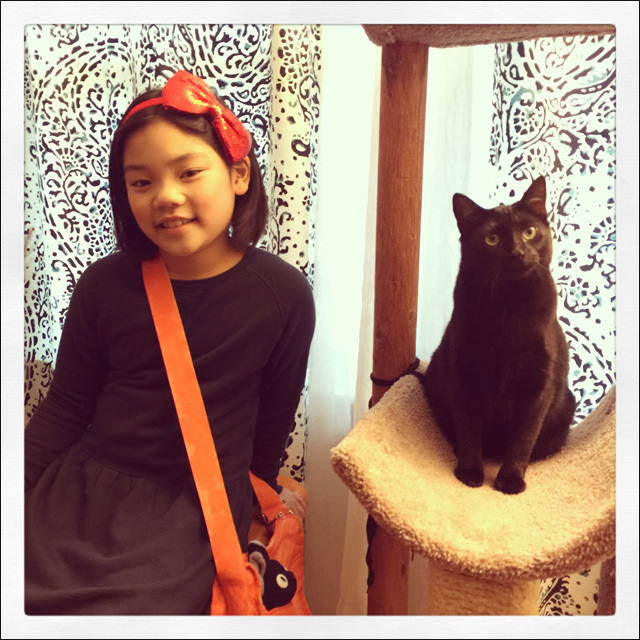 Keina as Kiki and Koko as Jiji. 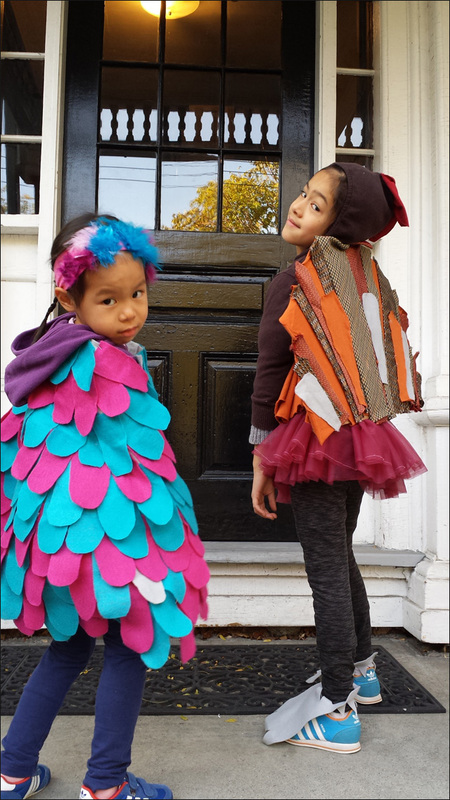 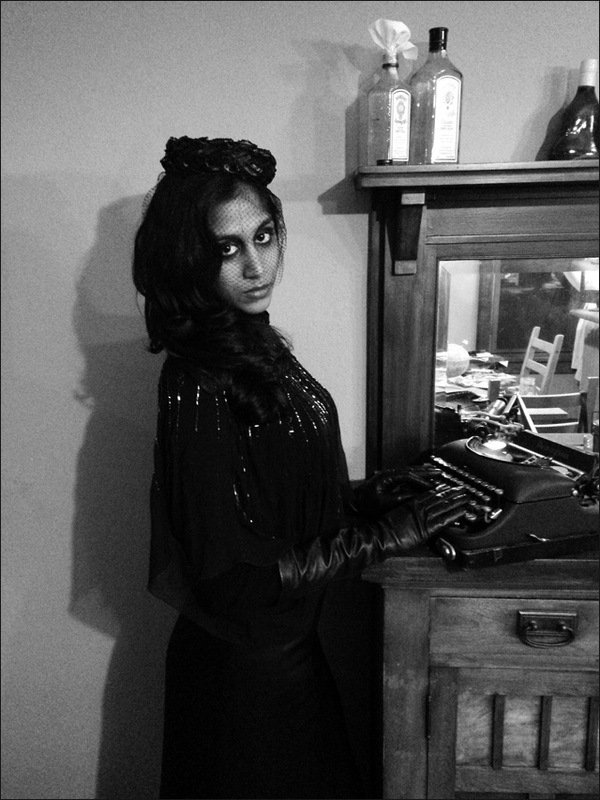 Maya as an Edward Gorey illustration. 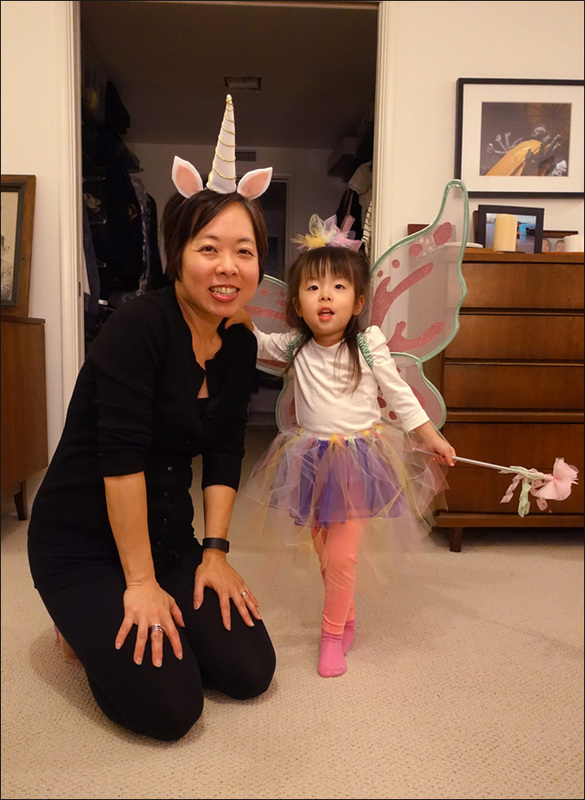 A Fairy Princess and her Unicorn.